China celebrated Lichun, the first day of spring for East Asian cultures, onThursday as families partook of the traditional chunbing or spring pancakes in hopes that an auspicious beginning to the year will bring good luck all year long. Lichun traditionally signifies the beginning of spring in East Asian cultures with the Chinese New Year being celebrated around this time. Farmers often celebrate the significant occasion with special village events, worship and offerings to the gods and ceremonies for a good harvest. On the day, Chinese families eat traditional food such as radishes and spring pancakes. As the Chinese New Year falls on February 8 this year, most families are expected to hold banquets. Chang Suqin, a mother from Northern China, prepared spicy radishes for her children at their schools in Hebei province hoping for a good year in the coming Lunar New Year. "Eating spicy radishes at this particular day shows you can have the courage to achieve things in the coming year," she said. When Chang was young, radishes were so cheap that even her poor family could buy them for their children and be able to celebrate Lichun and hope for a better future. Reports said that at a popular Beijing restaurant, more than 35,000 spring rolls were sold in its 50 outlets at the beginning of Lichun.. The spring rolls are usually stuffed with bean sprouts and vegetables. A spring roll contest was reportedly held in Chengdu, the capital of Sichuan province, which many contestants participated in. At the end of the contest, the participants offered the spring rolls they made to their parents, a symbol of filial love which is a very important aspect of family life for the Chinese people. 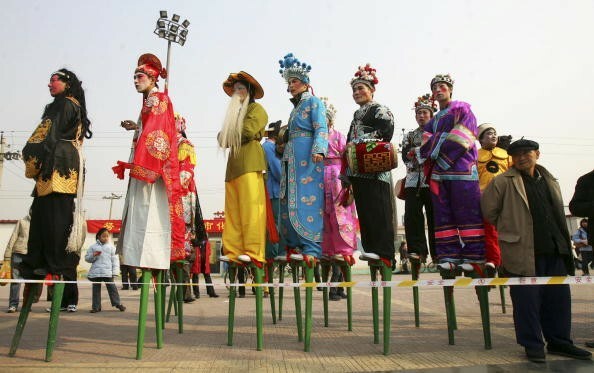 In the past years, officials held a tribute to the god of plant growth at the start of Lichun. The farmers and officials believed that the ceremony will bring prosperous harvests and good fortune, according to Shang Jie of Tianjin folklore museum. Shang said all these practices and traditions centered on Lichun demonstrate part of the Chinese rich culture with focus on the importance of the first day of spring to an agricultural society. "People in many places still observe these traditions today, hoping for a good harvest, a prosperous economy, and a harmonious, peaceful life," he said.